We have a series! The top-seeded ’78-’79 Montreal Canadiens dominated this game from the drop of the puck and end up outshooting the 6th-seeded ’84-’85 Edmonton Oilers 51-24. Steve Shutt got the scoring going for the Habs as he scored his 11th of the tournament almost five minutes into the game. Then, at the 13:12 mark of the first period, defenseman Serge Savard gave Montreal a 2-0 lead with just his third of the tournament. The Oilers got one back less than two minutes later, courtesy of Glenn Anderson, his 16th. However, this is as close as Edmonton would be all game. The Habs thoroughly dominated the second period, outshooting the Oilers 17-5. 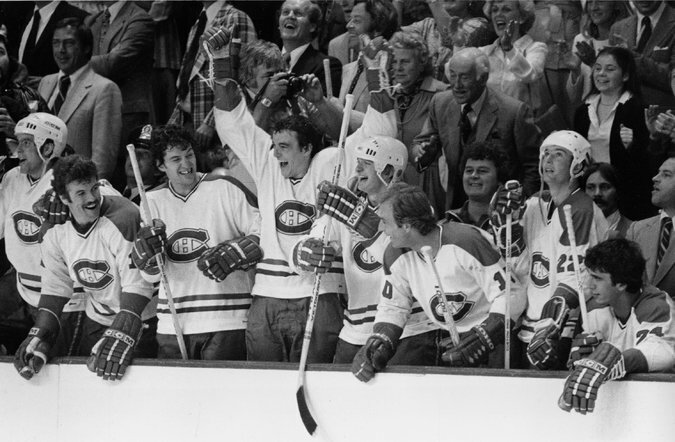 They were only able to capitalize on two of those 17 shots though as Guy Lafleur scored his 29th of the tournament and defenseman Guy Lapointe scored his third to have the Canadiens up 4-1 after two periods. They made it 5-1 when Jacques Lemaire potted home his eighth of the tournament, which would prove to be the end of Grant Fuhr‘s night in net for Edmonton. Two and a half minutes later, the Oilers officially came undone as Dave Semenko was given a five-minute major for head-butting and a 10-minute game misconduct. Then, just about two minutes after that, Kevin McClelland was given the same punishment for elbowing, his second ejection of the tournament. Montreal had a very lengthy 5-on-3 PP as a result and cashed in late in the PP thanks to Yvon Lambert‘s ninth of the tournament. The Oilers got two garbage time goals in the final five plus minutes, one from Wayne Gretzky and one from Jari Kurri, their 37th and 26th of the tournament, respectively, before Shutt potted his second of the game to put the nail in the coffin of a 7-3 win. This entry was posted in Ultimate NHL Final and tagged Dave Semenko, Edmonton Oilers, Glenn Anderson, Grant Fuhr, Guy Lafleur, Guy Lapointe, Jacques Lemaire, Jari Kurri, Kevin McClelland, Montreal Canadiens, Serge Savard, Steve Shutt, Ultimate NHL Final, Wayne Gretzky, Yvon Lambert. Bookmark the permalink.